The Customer Service Centre is open Monday to Friday 8:00am to 8:00pm and Saturdays 9:00am to 1:00pm. You can now contact Devon’s County Council’s Customer Service Centre using either 0345 or 0845 numbers. Your call may incur a charge, so please check with your phone company which will be cheaper for you. Your telephone company is obliged to include calls you make to 0345 numbers in any ‘free’ or ‘inclusive’ minutes packages that you may have with them. Calls to 0345 numbers are also charged at the same rate as calls to standard numbers starting in ‘01’ or ‘02’. 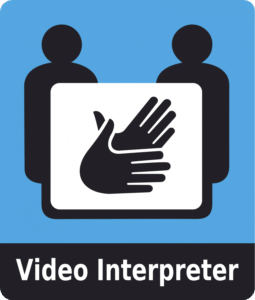 British Sign Language users can contact us using an online interpreter who will relay your conversation with an appropriate member of Devon County Council staff, and then sign back to you their response to your questions. Supporting adopters, children and families throughout the adoption process and beyond. Information on blue badges, including applying for or renewing a badge. Information and help for older people, vulnerable adults, and their carers. 0345 155 1078 available 9am to 5pm, Monday to Thursday and 9am to 4pm, Friday. For advice on goods and services, and consumer rights. Information and help for disabled people and carers including equipment, benefits, and care support. For information and advice on registered childcare, 2 year old funding and services for children, young people and parents. Advice on becoming a Foster Carer or Supported Lodgings Host for Devon County Council. Road maintenance, traffic management and parking, streetlights and signs, and public rights of way. Enrol and pay for an adult learning course. Renewals, enquiries about the library service and your local library. Speak to someone if you are concerned about the safety of a child or young person or to notify of a private fostering arrangement. Information on the National Bus Pass scheme for Devon residents, including how to apply, renew or replace your pass. Resident, visitor and business permit applications, renewals and enquiries. Births, deaths, marriages and civil partnerships. Admissions, transport, free school meals. Help and advice. For domestic rubbish collection contact your district, city or borough council. For information about the personal data we collect and how we will use it, read our customer services privacy notice. Privacy notices covering a range of other services are also available. Devon County Council asks that all its customers refrain from unacceptable behaviour when in contact with us or receiving services from us. Further information can be viewed on our customer notice.